About time! That was probably one of the longest build ups ever! 8 years, 4 months and 12 days – Logan, I cannot express how much I feel for you right now. Although it took a long time for their relationship to go off with a bang, it was sosweet! You could really feel the tension and then the shift in Alexis and Logan’s relationship from business associate to lover. 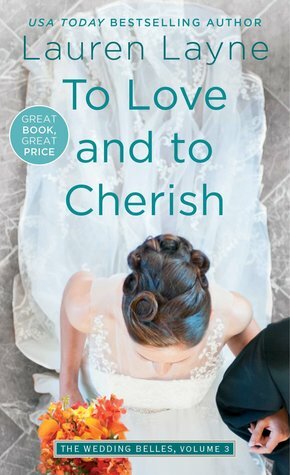 To Love and to Cherish follows Logan Harris – hunky British accountant – and Alexis Morgan – the owner of The Wedding Belles as they transition from business partners and friends to lovers and partners – in the biblical sense. It brings back the same characters as previous instalments but it also brings in a few new ones – namely Alexis’ sister and her ex (whom are dating, soon-to-be married and soon-to-be parents!) – and this is where the story kicks a gal when she’s down. Not only did her ex Adam Hogan fall in love with her sister but now he’s marrying her and knocking her up? Harsh. I think this is the biggest obstacle for Alexis and relationships; it’s putting the biggest block in her groove but I also feel like she was letting it hold her back, letting the Belles take over her life in every way, shape and form rather than attempting to get her personal life on some sort of track. At least until Logan happens. Logan all of a sudden switches gears and goes from Submissive to Alpha so quickly I didn’t think he had it in him. It appears that Logan has been hiding more than one secret in this relationship and it takes Logan suddenly “giving up” for Alexis to realise that maybe there is something there between them; it takes Logan gate-crashing her sister’s wedding for her to realise that this Brit is the one for her. It was brilliantly written with some great little Briticisms in there – Jake’s obsession with “Bloody wanker” being the greatest. The character development you could see had hits its peak and there was nowhere else that LL could have taken them that wouldn’t have involved some heavy backtracking; Alexis finally relaxed, Logan finally got his girl and everyone got their HEA, great right? 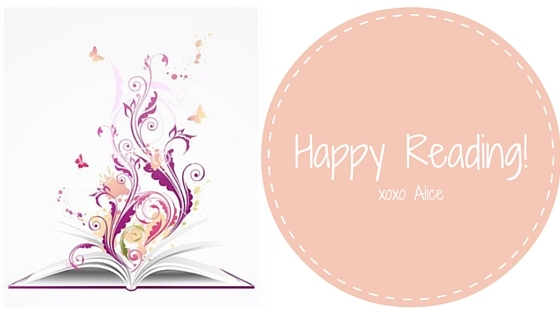 The character dynamics from the previous books to now have only continued to get better and the relationship between al the Belles and their significant others and vice versa was superbly done. I really enjoy LL’s characters but I think that Logan has got to be my favourite and that To Love and to Cherish was definitely the cream of the crop! There could maybe have been a few more scenes from Logan rather than Alexis as it did lean heavily toward Alexis’ POV rather than a relatively equal share but if this is how the book wrote to LL then I’m not going to complain in the slightest. It was a stellar ending to a fabulous series and I’m just sad to see it end.